For a Truly Happy Bark-day! A birthday celebration isn’t complete without a cake to make a wish on, and every good dog deserves to blow out their birthday candles. 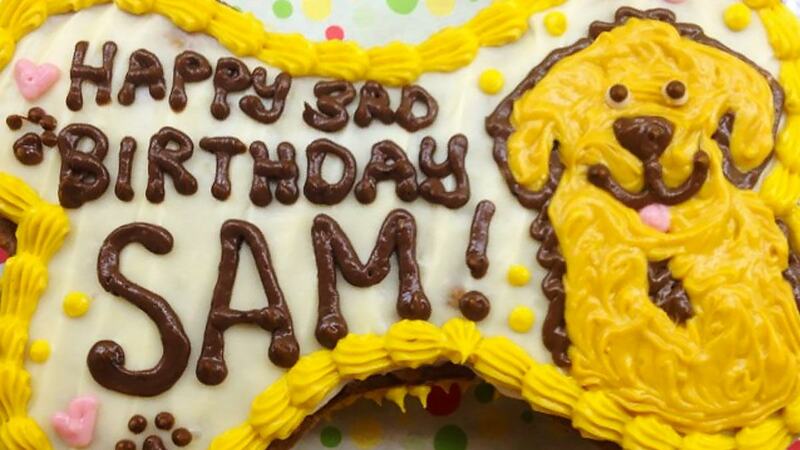 Thanks to these four establishments, your pupper’s birthday wishes can now come true. The country’s first natural pet barkery and dog café offers celebration cakes that’ll have your doggo doing zoomies. They have cakes in all shapes, flavors, and sizes: You can choose bone, paw, round, or doggie cakes in liver or banana oat flavor with cream cheese, mango, or peanut butter frosting. They make itty-bitty 4-inch cakes all the way to huge 13-inch cakes that would be perfect for a dog’s birthday pawty with this pals. You can also order pupcakes and grain-free cakes, as well as human-grade, all-natural dog food and treats. That’s not all, you and your furry BFF can even go on a birthday day date at their dog café, where you can order waffles and coffee for yourself and their best selling doggie lasagna for your pup. Make sure to say hi to Whole Pet Kitchen’s handsome mascot, Jack-Jack, when you drop by! At Barkin’ Bakes, you can choose from a wide variety of cake flavors that the floof is sure to go barking mad for, like banana or liver, apple, carrot and peanut butter, tuna and veggies, and salmon and cheese. 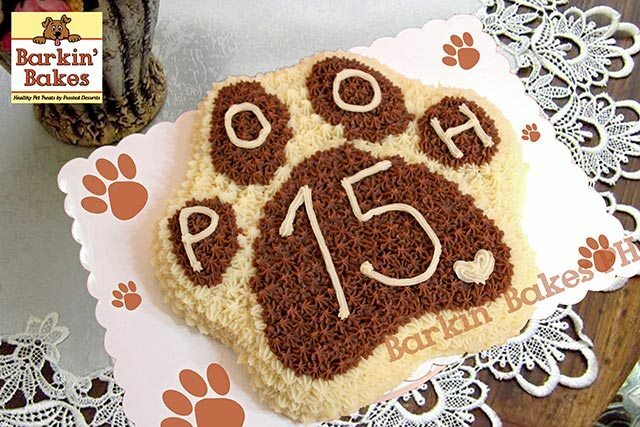 Their cakes also come in different shapes (paw, round, dog bone, and custom) and sizes (from 4 inches to 13 inches). They even offer home and in-store party packages that may include a combo of the following: a cake, pupcakes, Labrasagna (their doggie lasagna), and/or Watermelon and Apple Snorbet (their version of all-natural doggie fruit coolers). Grain- and gluten-free cakes are also available. Aside from baked birthday goodies, Barkin’ Bakes also makes yummy muffins, biscuits, dehydrated treats, frozen yogurt goodies, and healthy and well-balanced home-cooked doggie meals like Chicken Jambalaya and Beef and Rice. Bark Central is Manila’s first indoor dog park, where you and your beloved four-legged friend can spend a fun day of play and games with other pet parents and pups. It’s a dog and a dog parent’s dream come true—an indoor, air-conditioned, and fully attended off-leash play area with toys, agility equipment, and enough space to zoom around and socialize with other dogs! Talk about birthday wishes coming true. There’s also a dog café that serves both human and doggo dishes, where the two of you can hang out and chill. Planning your dog’s birthday party? You can book their VIP (that’s Very Important Pups) Room and order their Dog Birthday Cake (P650 for the 6-inch bone cake, P950 for the 8-inch bone cake; larger cakes are available upon request) and treats like homemade Pupcakes (P60+ per piece) and Chicken Bone biscuits (P95+ for 3 pieces). 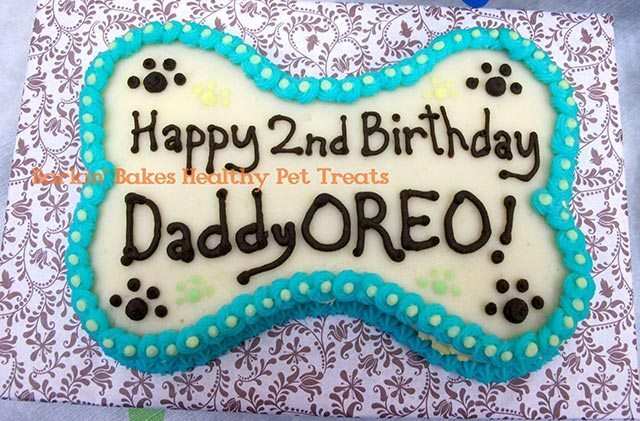 You can also order food items from the café for your dog’s pawty. Their specialty? Pawdorable custom 3D cakes! Get your dog a 3D Face Cake or a Round or Bone Cake with a 3D Topper of your pup. They also have (non-3D) round, paw, bone, and dog-house cakes, as well as unique novelty cakes shaped like a dog bowl, a burger, a donut, etc. You can get pawsta dishes (doggie pasta dishes), muffins, biscuits, and treats, for your dog, too. For your pup’s birthday, order one of their Pawty Packages. The Mini Pawty Package (P500) includes a 4-inch Paw Cake, 250 ml Woofy Lasagna, 12 pieces Mini Pupcakes, and a birthday candle. The Pawfect Pawty Package (P1,100) includes a 6-inch round cake, 250ml Woofy Lasagna, 12 pieces Beef Pops, 500ml Frosty Paws, and a birthday candle. Finally, the Pawsome Pawty Package includes a 7x10-inch Bone Cake, 250ml Woofy Lasagna, 24 pieces Mini Pupcakes, 12 pieces Beef Pops, 700ml Frosty Paws, and a birthday candle.